Suunto’s newest watch, the 3 Fitness, is now available for pre-order on Suunto’s website. This is a fitness tracker that is also a personal coach to help people improve their fitness level. Suunto calls it “adaptive training guidance” and that’s exactly what it is. It is training that adapts to your changing fitness level, whether your fitness level goes up or down. This is an approach that I think future fitness trackers are going to take. 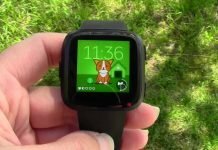 Instead of just tracking activities, they are aiming to be a coach or personal trainer on your wrist. Yes, the Suunto Fitness 3 will track your activities and do all those things that we’ve come to expect from a good fitness tracker but it will also guide individuals with customized 7-day training plans based on what it feels is the best duration and intensity level for that individual. Targeting training appears to be based upon heart rate, pace, duration, and distance goals. 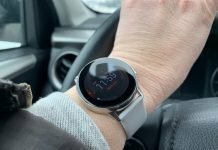 The style and look of the watch reminds me of the Garmin Vivoactive 3 in some ways. It’s a round watch and available in several different styles. 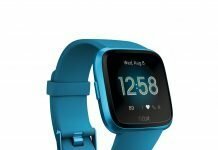 Its main features are of course, adaptive training guidance, activity tracking, sleep tracking, heart rate tracking with heart rate zones, stress and recovery estimates, connected GPS (so no built-in GPS), and it is water resistant to 30 meters. The diameter of the watch is 43 mm so it’s not a small watch but not huge either. It’s about the same size as the Garmin Vivoactive 3. For swimming, the Fitness 3 is capable of measuring both pool and open water swims. It also support interval training so you can switch to another sport while performing a different one. There are 70 pre-installed sports modes on the Fitness 3, so there’s plenty to choose from! It can also connect with Bluetooth chest HR straps for greater heart rate accuracy. The Fitness 3 can also estimate VO2 max which is an estimate of your fitness level. The bezel is made of stainless steel, the body of the watch is glass fiber reinforced polymide, and the glass is polyamide. The 20 mm wide strap is made of silicone. The battery life is estimated at 5 days. Unlike the Suunto Spartan Trainer WHR which I have reviewed, the Fitness 3 isn’t compatible with Movescount website. Movescount is Suunto’s site for creating and syncing routes to their products. It is of course, compatible with the mobile version of Movescount which is supposed to be upgrading very soon. Since the Fitness 3 doesn’t have a built-in GPS it isn’t a hiking watch like the Spartan Trainer WHR. So, if you’re wanting navigational features for hiking and trekking, you’ll want to look at Suunto’s other products, like the Spartan Trainer WHR but I do like the coaching features of the Fitness 3 and I think there’s a market for a watch with guidance features. 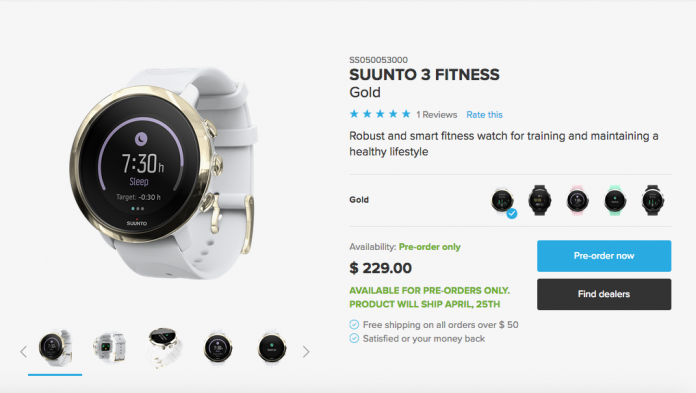 The Fitness 3 is currently available for pre-order on Suunto’s website. Previous articleAre Those 7-Minute Workouts Worth It?